Our extremely popular Holiday Camps are designed to inspire kids and lay the foundations for a great future in the game of tennis. It's a chance to really improve, with four days focused on tennis, which means plenty of time with professional coaches to cover all aspects of the game. Also, in keeping with the holiday spirit, the camps will have a great team atmosphere and be heaps of fun! We will cater for juniors of all ages and abilities, so whether you’re an experienced player or you’re swinging a racquet for the first time, you will be challenged and coached according to your stage of development. 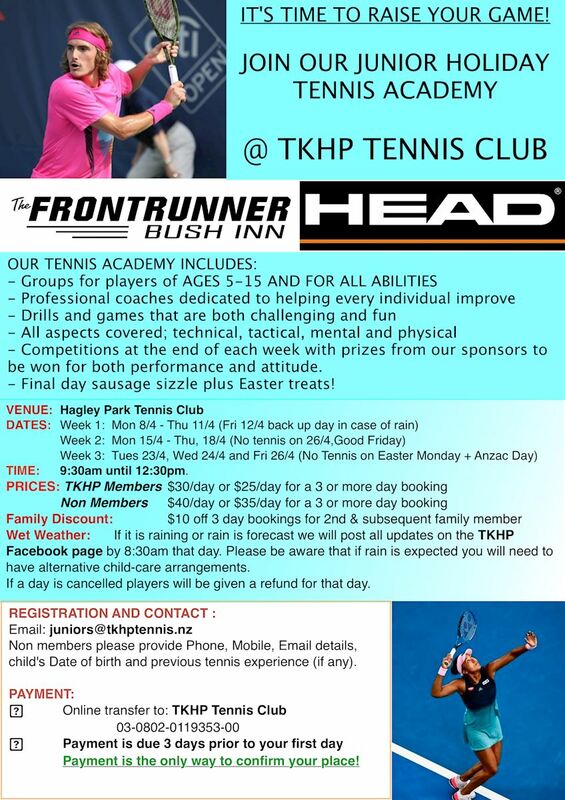 The camps will be run in all school holidays. Details will be posted here on up and coming holiday camps.